﻿ Phoenix Emerald Pension, Pyeongchang-gun | FROM $313 - SAVE ON AGODA! Have a question for Phoenix Emerald Pension? 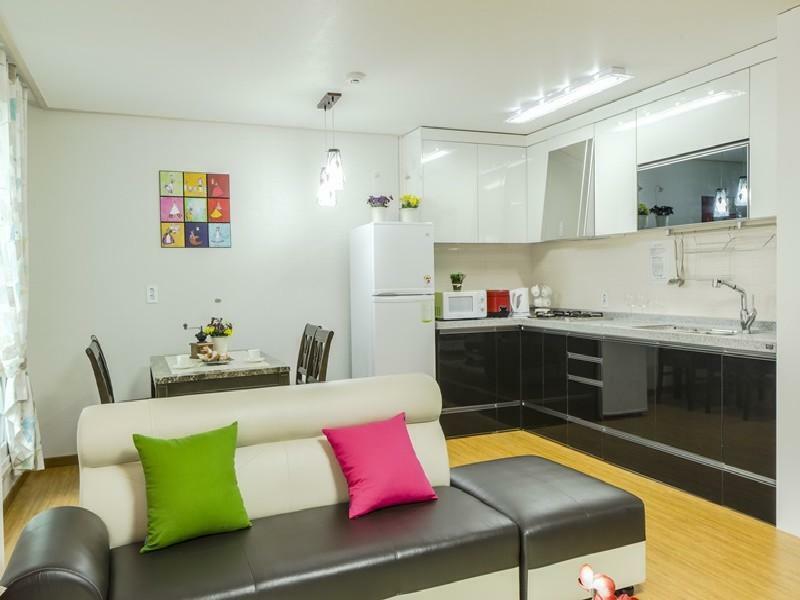 If what you're looking for is a conveniently located hotel in Pyeongchang-gun, look no further than Phoenix Emerald Pension. The excitement of the city center is only away. With its convenient location, the hotel offers easy access to the city's must-see destinations. Phoenix Emerald Pension offers impeccable service and all the essential amenities to invigorate travelers. This hotel offers numerous on-site facilities to satisfy even the most discerning guest. Phoenix Emerald Pension is home to 18 bedrooms. 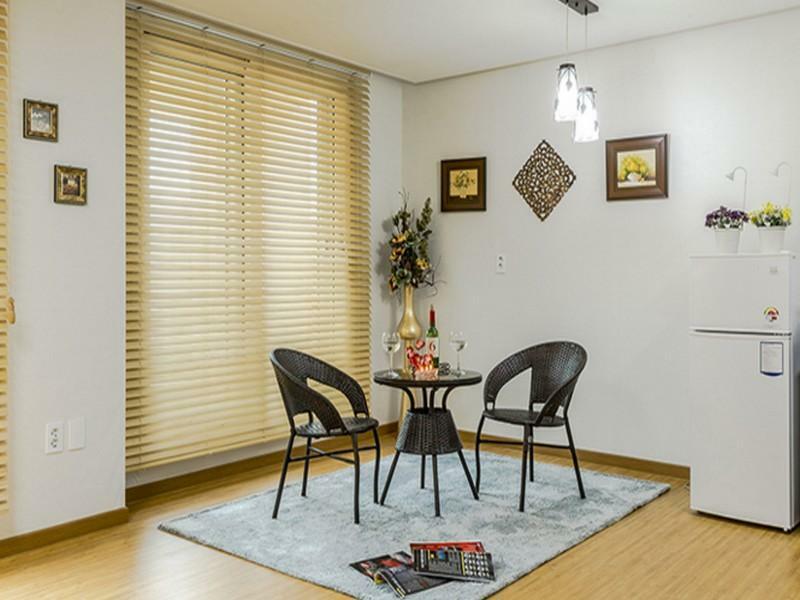 All are tastefully furnished and many even provide such comforts as internet access – wireless, air conditioning, heating, telephone, television. Besides, the hotel's host of recreational offerings ensures you have plenty to do during your stay. Phoenix Emerald Pension is your one-stop destination for quality hotel accommodations in Pyeongchang-gun. Extra bed is a futon and is subject to availability. The two floor family apartment was perfect. It was very clean. The kids loved the upstairs. They felt like they had a little apartment of their own. The big hill in the back was perfect for sledding. The staff was very helpful and accommodating. You need a vehicle as it is tucked away. However, if your there to go to Pheonix Park Ski Resort, it is only 2.5 miles down the road. There is also an abundance of ski equipment rental places. Overall I was very happy and would gladly stay there again! 새로지어 깨끗합니다. 주변 경관도 빼어나고, 가족여행으로 무난했습니다. 사장님 무척 친절하시구요. 딱하나 아쉽다면 팬션 내 집기들이 좀 부족했어요. 옷걸이, 시계, 유리컵, 물건을 놓을 가구들... 깨끗해서 기분좋게 들어갔는데 안에 뭐가 너무 없어서 사소한 불편들이 있긴했지만ㅎㅎ. 하지만 가격대비 나쁘지 않은 시설에 주변 환경과 사장님의 친절이 인상적이였습니다. 정말 너무 너무 마음에 들어서 다음에 꼭 다시 오고 싶습니다.